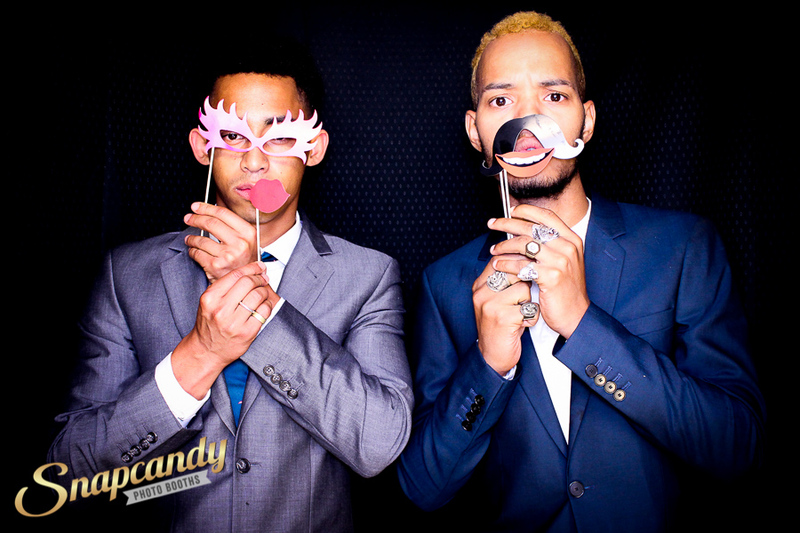 Our Party Photo Booth is a must have addition to any stylish private party. The privacy of the curtained booth gives your guests the opportunity to relax, have fun and capture it all on camera. Party Photo Booth hire packages are affordable and are a great way to give your event a real big budget feel, wowing your guests and creating a fabulous party atmosphere. The booth interface is easy to use, meaning everyone has full control over their photos with unlimited vists and prints. With our extensive selection of props there’s something for everyone no matter what your style or taste. We can provide everything from silly, to vintage and even quirky. If you’ve a particular theme in mind then get in touch and tell us all about it, we love a challenge! We provide an attendant to make sure the booth runs smoothly throughout your party and we’ll work with you to fit the booth to your event. Unlimited visits and instant prints. Fun Props to use inside the booth. A Booth attendant to ensure your guests get the most out of their booth experience. Red Theatre Style,Plain Black, Gold Sequin or Teal interior backdrop. Black or White Booth exterior. Unbranded booths fit in perfectly with any venue; the ultimate addition to your party! Snapcandy USB with all images. Delivery, set up & take down up to 75 miles of DE1 (travel charges may apply outside of this area). Custom booth – Do you have a special message, monogram, or colour scheme you would like to show on the outside of the booth? Talk to us about how we can make your booth extra special. Share the fun with your friends via live Facebook uploads. Bespoke backdrops are also available on request. We understand that total confidentiality is a necessity for some clients, that’s why we provide a discreet, locked down service for when your party must remain truly private. Social media integration is always optional and you can chat with us about how we’ll handle your images after the event. You must notify us if full confidentiality is required, so contact us now and we’ll be happy to discuss the lengths we go to to ensure we maintain your privacy before, during and after your event. Contact us now to see what we can do for your party!